Bathrooms and kitchens sell homes. Our goal is to recreate a spa-like experience to Buyers so they would feel attracted to it. You don’t have to spend a fortune to create the illusion of a spa. With Patricia’s advice and these well-kept secrets, you will increase your chances to get top dollar when selling your home. Remove soap grime, mildew and calcium residue from showers. Fix leaky or dripping faucets. If a faucet is dated or weathered, replace it with a new mother one. Replace the caulking around the tub, shower and sink to make the bathroom look clean and fresh. Paint the walls with a NEUTRAL semi-gloss. Ask Patricia for advice on colours. If cabinet hardware is dated or weathered, replace knobs and pulls. If your light fixtures are rated for 100-watt, replace the bulbs with WHITE 100-watt. If the light fixture/fan is dated, replaced. Clean the bathroom from top to bottom. It should sparkle and radiate cleanliness. Remove the covers from light fixtures and exhaust fan, wash, dry and replace. Remove prescriptions from the medicine cabinet, and any other personal items you don’t want a buyer to find and store this stuff in a safe place. Throw out worn, frayed, or outdated rugs and towels. 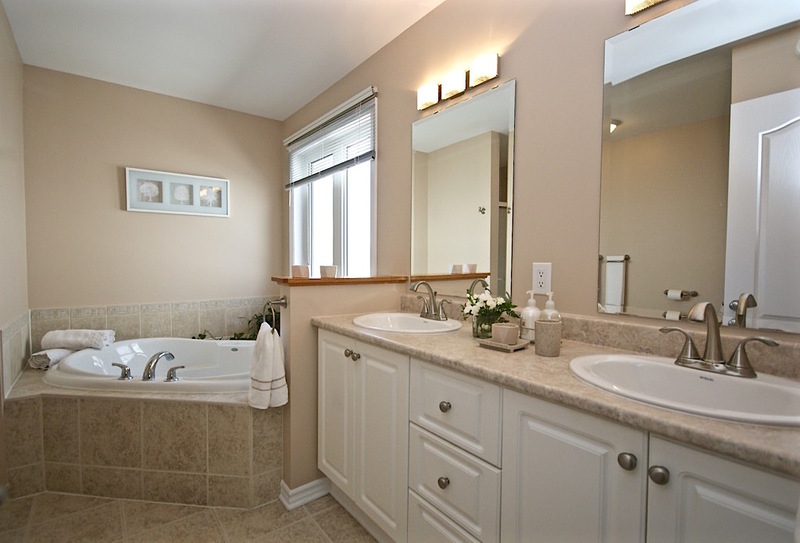 Everything you use for staging would depend on the size of your bathroom. You don’t want to clutter the vanity or make the room feel overcrowded. Less is better. Think simplicity. Think minimalistic. Think fresh. Get rid of dated or worn blinds and replace for simplistic (white) new ones. We want the bathroom to have as much light as we can. Replace your old towels with fluffy light coloured towels (white preferably) & rugs. Shower courting: Replace it with a white one or a neutral elegant one. Elegant creams, liquid soaps or bath salts. TIP: Do you want to make your bathroom look more expensive and elegant? 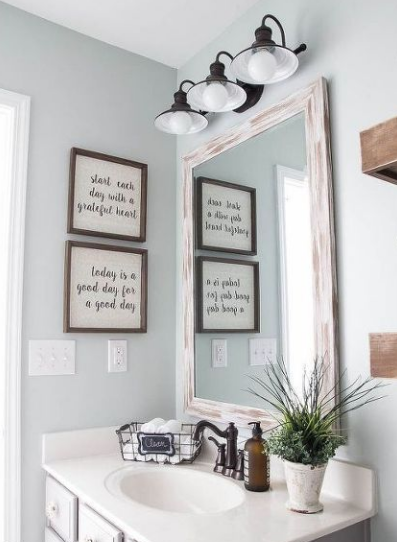 replace the mirror with a framed one! For more advice and home staging information contact Patricia today!